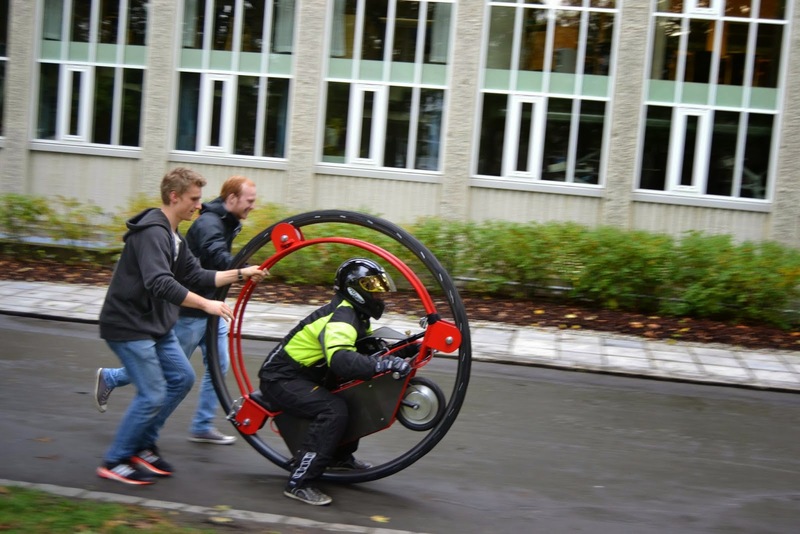 World Of Technology: We made an electric monowheel! 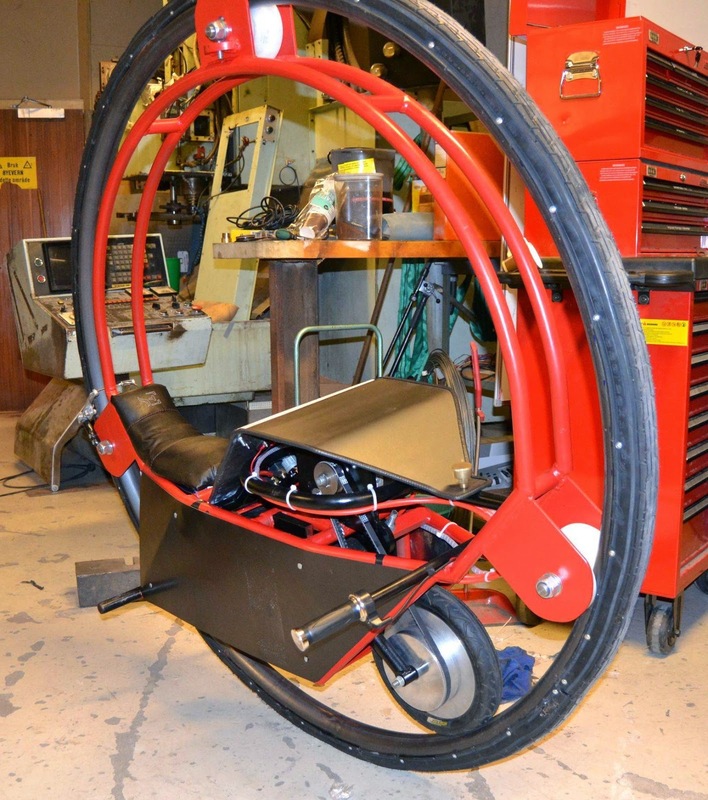 We made an electric monowheel! 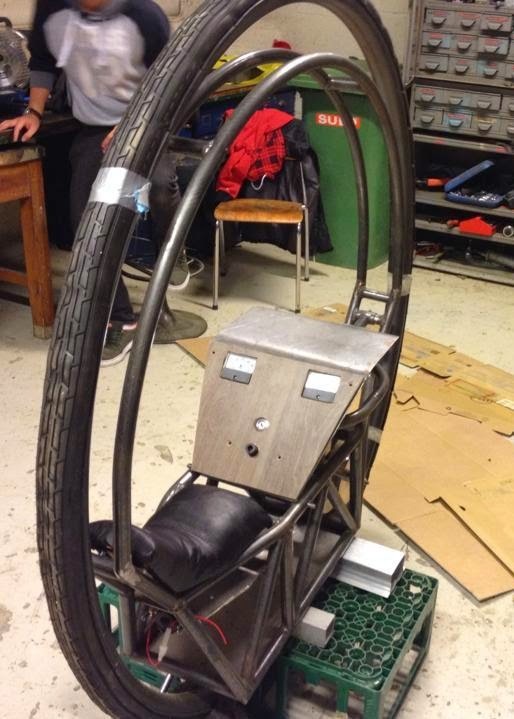 Here’s a very rough storyline on how we made this electric monowheel. 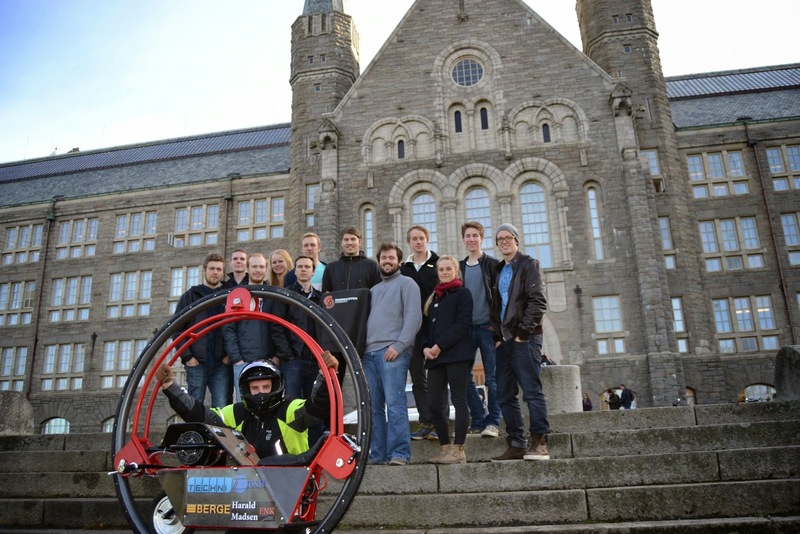 “Smørekoppen” is a student’s society/guild for students enrolled in the Mechanical Engineering 5-year programme at the Norwegian University of Science and Technology in Trondheim. 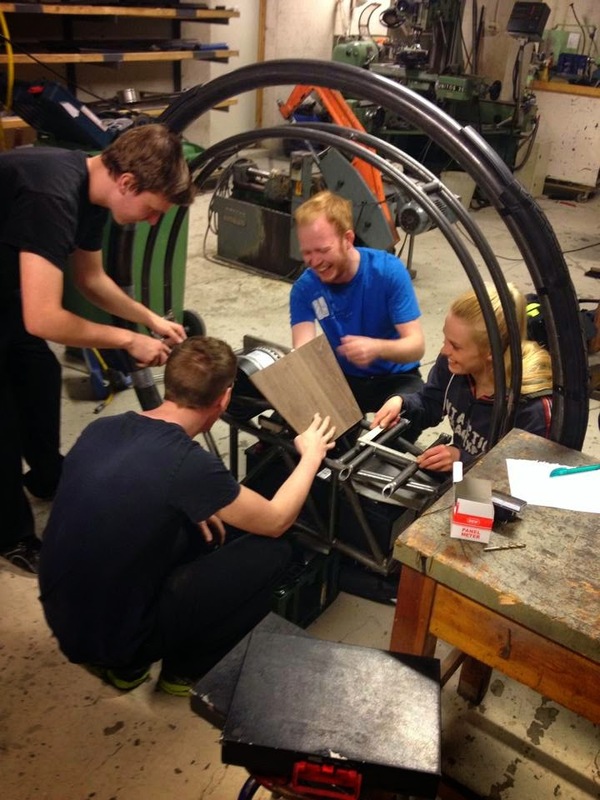 “Smørekoppen Engineering” is a committee within this guild and exists with the purpose of giving students who are interested experience in the practical part of engineering. Volunteers make a team and work together one year on a project they themselves choose. This particular year, we were 13 active members, in which two were 2nd year students. The rest were 1st year. 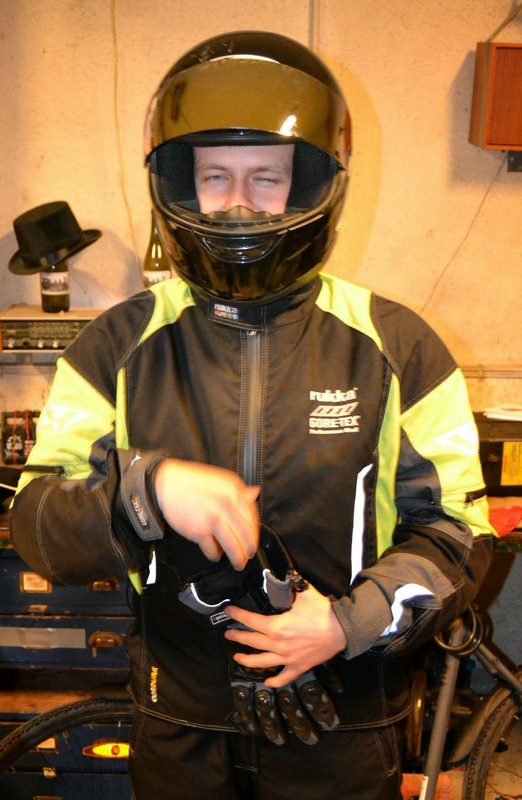 It is completely non-profit and financed partly by the guild, but also from sponsorships we collect ourselves. We can’t make money on this; we just want to show the world what we have spent our time on. We had a lot of fun doing it. We used this for reference. Of course it didn’t turn out quite like this, but it was really important to have so that everybody was clear on the key solutions and the scale of it all. 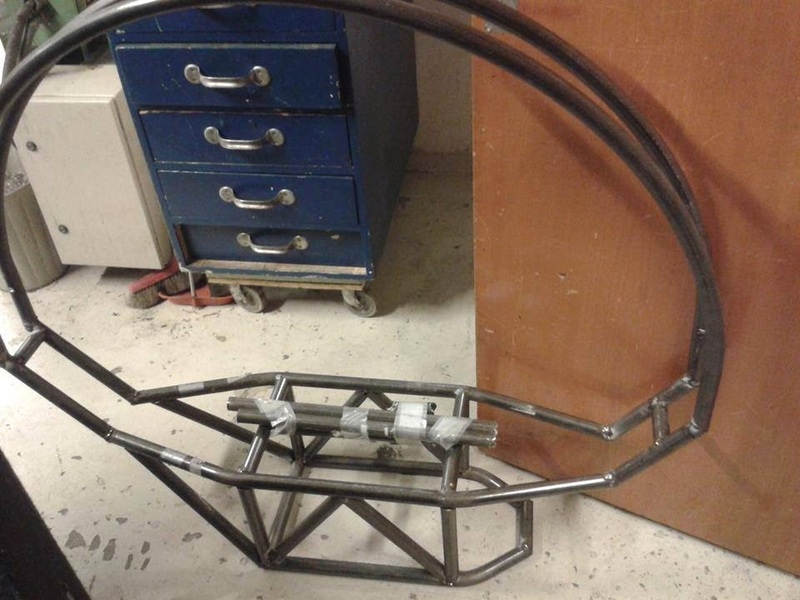 ~50 mm (2 inch) steel pipe bent in a 1400 mm (~55 inches) center-center diameter circle. 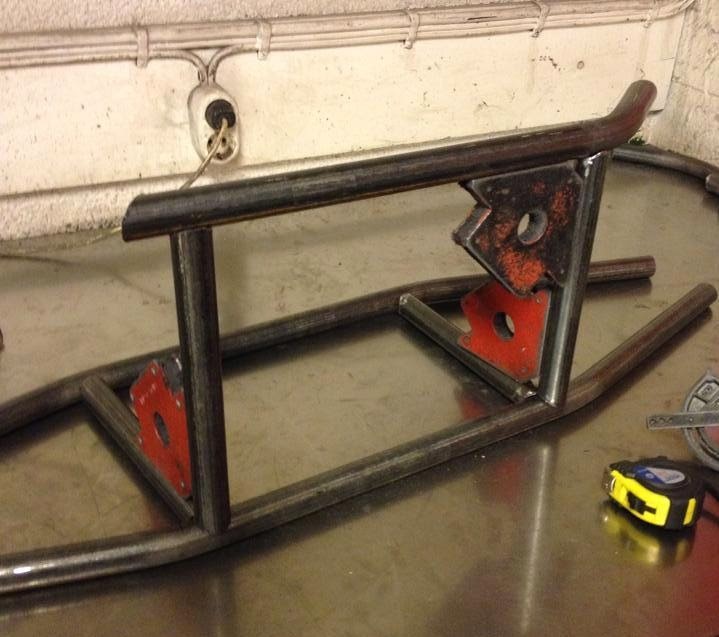 This is one of the few things we weren’t able to make ourselves in the guild's shop, so this was custom made from a steel manufacturer. 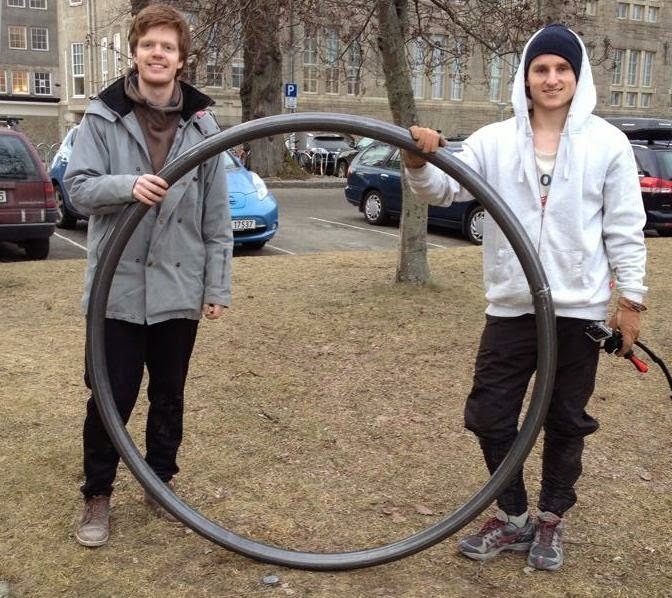 We bought heaps of steel pipes and bent, grinded, and welded it together in our own, and the university’s shop. 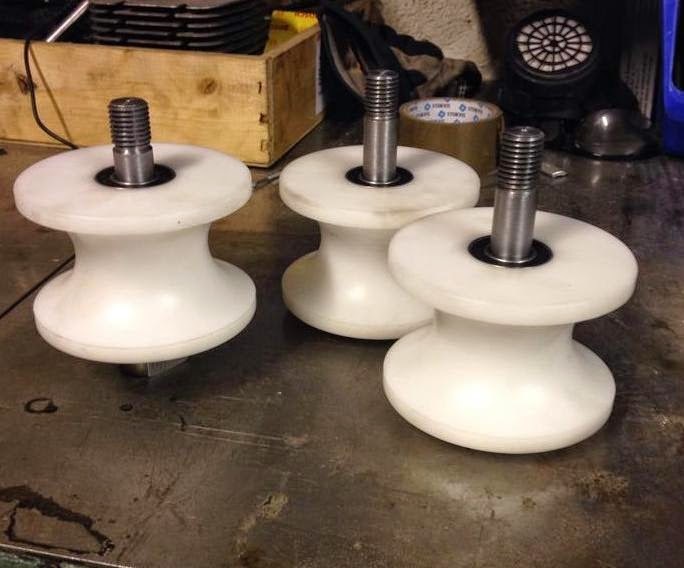 These hold the frame in place in the wheel. We had to get our professor to do these on a CNC lathe, since the curve had to be pretty accurate. We made the shafts ourselves! Here are some the electronics we used. We bought most of it off Ebay. 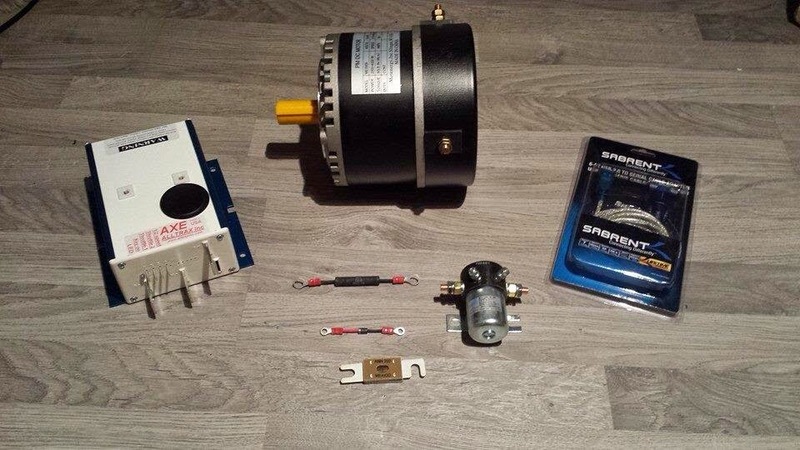 The motor is 4 kW. We used three 12V car batteries in series to power it. Here we are working on the dashboard and electronics. Everybody is laughing because the picture is so obviously staged. 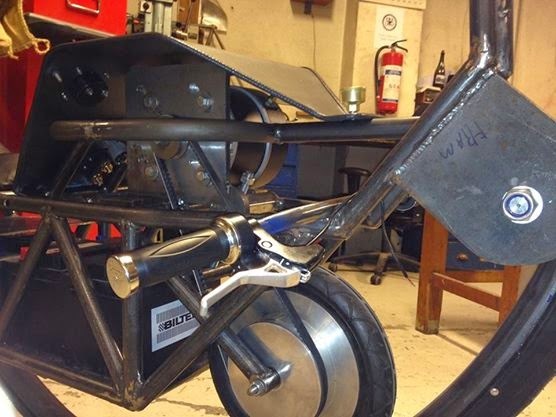 The dashboard and seat are hinged (separately) and can be lifted up to access the electronics. The dashboard is "wood" and has amp- and volt-readers. 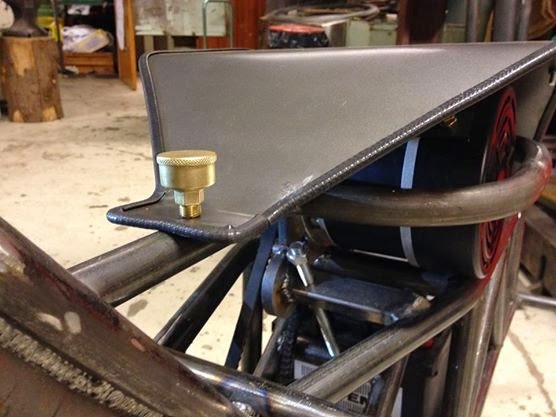 Throttle on the handle and a belt to power the driving wheel, which was a custom aluminium design we made. 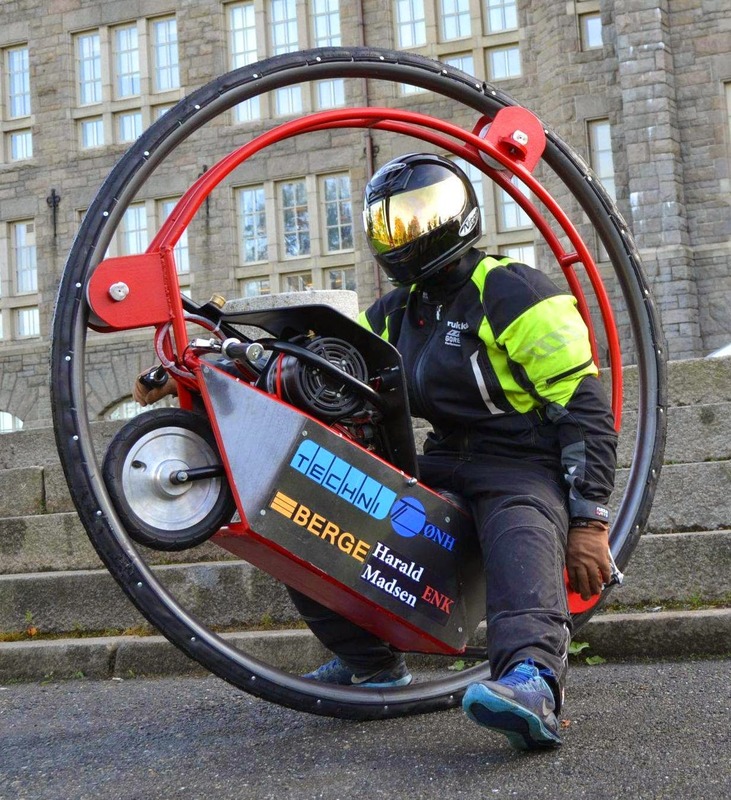 The fork that holds the wheel is adjustable so that the belt can be tightened. 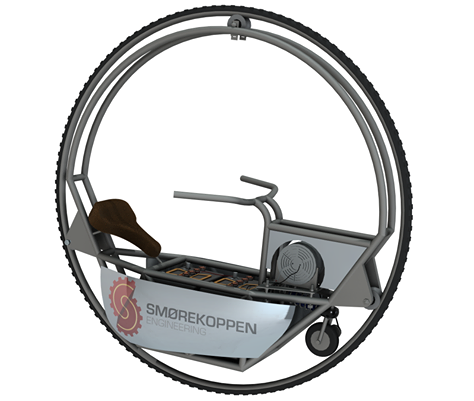 “Smørekopp” means “oil cup” in Norwegian, so we put in this little detail. 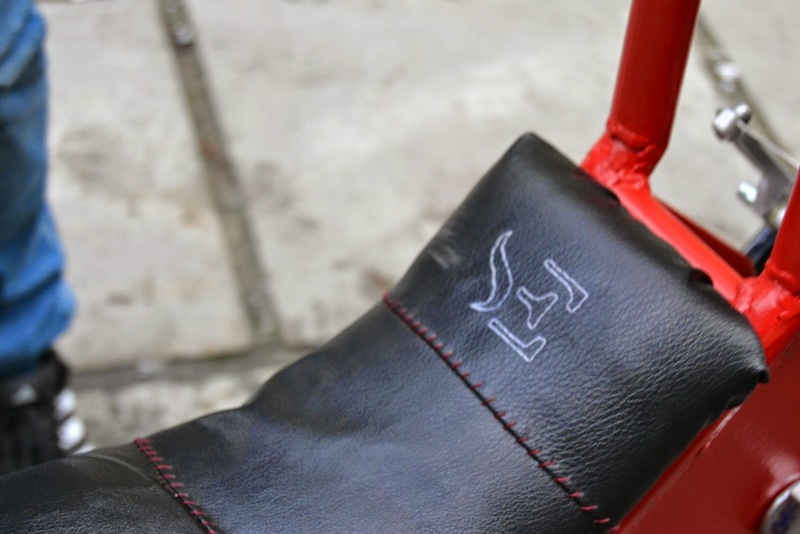 Alternate logo “SE” stitched in the seat’s leather. 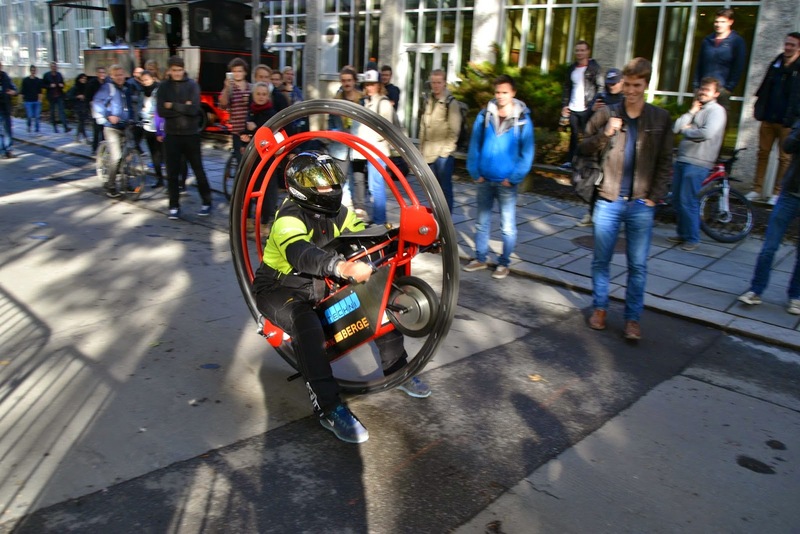 Our driver is ready for a test run.